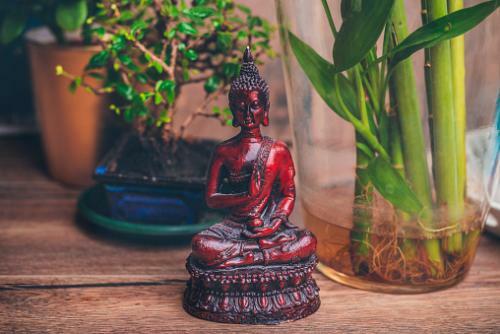 Activate power areas with feng shui to improve certain areas of your life. Activating power areas in feng shui can help you bring more positive energy and focus to important areas of your life. The application of activating power areas is typically the same regardless which school of feng shui you practice. In Black Hat Sect feng shui and the Form and Compass schools of feng shui, the location of your power areas will be different from each other because of the techniques used to determine these sectors in your home. You can easily sum up the main difference between Black Hat Sect and traditional classical feng shui (Form and Compass) with an analogy. Most traditional classical feng shui practitioners view Black Hat the same way an astrologer would view advising a client to read a generalized, monthly, zodiac sign prediction for an accurate astrological guideline. In today's Western culture, feng shui is all the rage, especially Black Hat Sect feng shui. Many people find this school of feng shui very helpful. If you practice Black Hat, then you'll use a bagua to determine each area of your home. The simplicity of Black Hat Sect feng shui means you place the bagua the same way over every home. You always place the north side of the bagua superimposed over the front entrance. Your front door will then either fall into the general knowledge, career or helpful people area. The south side of the bagua should always be superimposed over the top of your house layout. In Black Hat, it doesn't matter if your front door actually faces south, you'll still line-up the north side of the octagon-shaped bagua with the front entrance of your home layout. 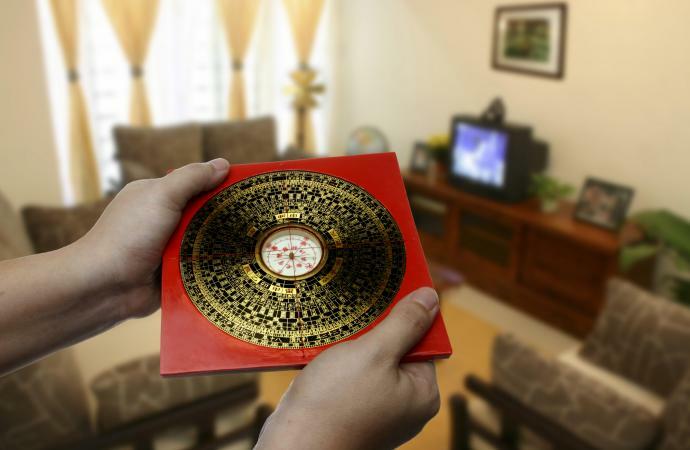 Form and Compass feng shui uses compass readings and several formulas to arrive at mathematical evaluations of your home, you, and each member of your family. There are three basic analyses you'll want to conduct in order to locate your individual power areas as well as those of your home and each family member. Without conducting these analyses, you have no way of knowing where any power areas are located. The Flying Star is an analysis of birth dates that includes, yours, each member of you family and of course, your home's birth date, which is the completion date of construction. This is the very first analysis you should conduct in order to identify possible problem areas. Often referred to Eight Mansions, this analysis will determine how well you and your house fit together. You can determine which rooms are the best places for you to spend time and which ones you should avoid. Also, you'll discover the best directions for you to sleep, eat, work, study, and play. By conducting a Pillars of Destiny analysis, you'll be able to discover your personal element and its relation to your house's element. That means if your home's element is fire and your element is water, you'll need to do several things to counter the negative effects of these two elements competing for the same space. Regardless which feng shui school you practice and follow, the activation of elements is the same. There are a couple of ways you can activate your power areas. One is to use feng shui remedies or element enhancements. The other way is with the use of symbols. Many people call feng shui remedies, cures, when in truth, the use of elements is more of an enhancement than a cure. Using elements that are lacking in certain areas of your home can activate the dormant or weak element and give it strength. Feng shui practitioners call this activating an element or power area within your home. Using feng shui symbols to activate an element is often a topic of heated debate among classical feng shui practitioners. There are two schools of thought when it comes to symbols being able to activate these areas. Many practitioners don't believe that a symbol alone can activate an element. However, if the symbol is made out the element, such as wood, metal, etc., then it's used with the understanding that the symbol could be anything as long as it's composed of the appropriate element. The flip side of the argument is that a symbol contains its own power and can activate an element. Many people, especially feng shui novices, believe they must purchase every kind of feng shui object available in order to be covered. The end result is a home that has so many objects that it looks like a store for feng shui paraphernalia. This is just as bad as not having any feng shui elements in your home. Clutter is clutter, so be selective and discreet in your choices of elements. You can have objects that will activate elements in your home that aren't Chinese art objects. Simple things can activate an element. The key thing to keep in mind is the object should be made of the actual element you want to enhance. Below are a few examples of element enhancers. You should also consider the room's function and purpose whenever you wish to activate power areas with feng shui and add anything that will support and strengthen those functions.